The staff of the CDS is actively contributing to open-source data science software. In addition, the CDS funded no less than 13 “doctoral missions” to develop specific features impacting each community related to those projects. pandas is an open source, BSD-licensed library providing high-performance, easy-to-use data structures and data analysis tools for the Python programming language. @jorisvandenbossche is actively maintaining and improving this project. 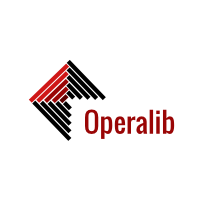 A new Python library Operalib devoted to various machine learning algorithms devoted to operator-valued kernels regression was implemented. Sphinx-gallery which is a Sphinx extension that builds an HTML gallery of examples from any set of Python scripts. Specio is a Python library that provides an easy interface to read hyperspectral data. It is cross-platform, runs on Python 2.x and 3.x, and is easy to install.